The man suspected of shooting a TV reporter and her cameraman dead during a live interview is rushed to hospital in the US. Vester Lee Flanagan was found with gunshot wounds after a police manhunt in the state of Virginia. 24-year-old Alison Parker died along with 27-year-old Adam Ward. 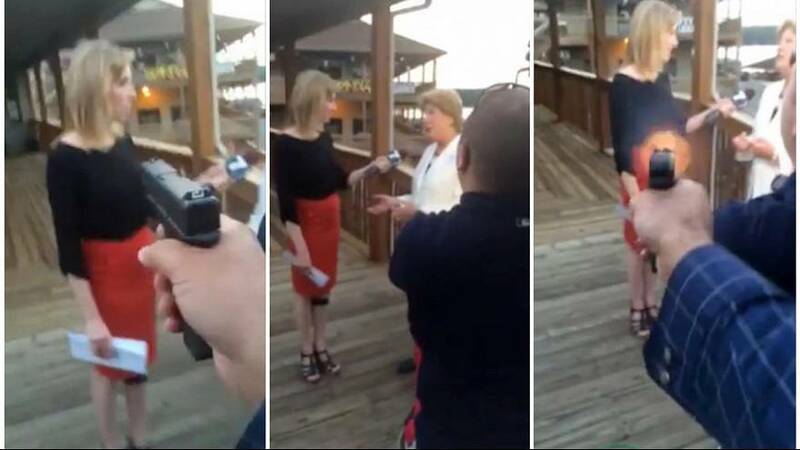 They were attacked while filming a morning interview for local TV station WDBJ7 in Bedford County. Flanagan, whose on-air name was Bryce Williams, was a former employee of the station and a former colleague of both. He filmed a video of the attack and posted it on social media. The TV station says it has no idea about a possible motive for the killings. Speculation, however, is rife. Reports claim that Flanagan may have harboured a personal grudge against both his victims. He reportedly filed a lawsuit against the TV station alleging discrimination, but the case was dismissed in July 2014. It is also claimed the 41-year-old had accused the murdered reporters of making racist comments. How many civilian guns does a well-regulated militia need?